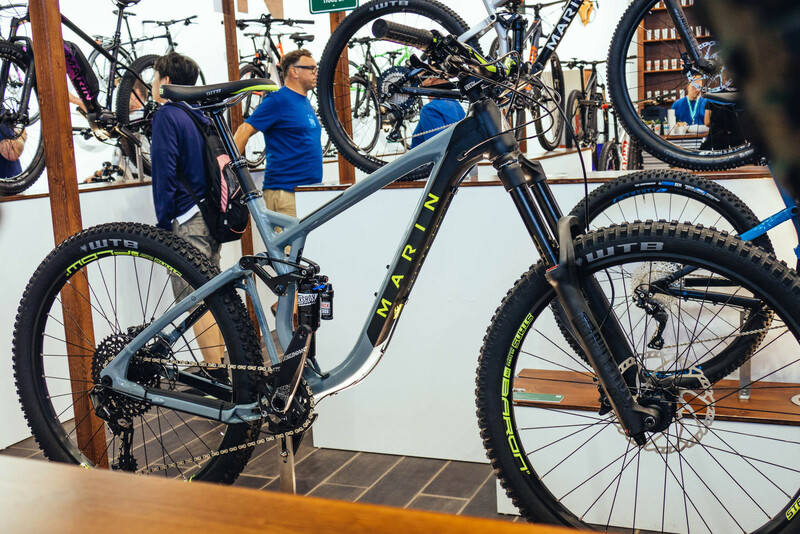 One of Marin's most dialed full suspension bikes yet. The updated Marin Attack Trail may be the brand's most dialed yet. 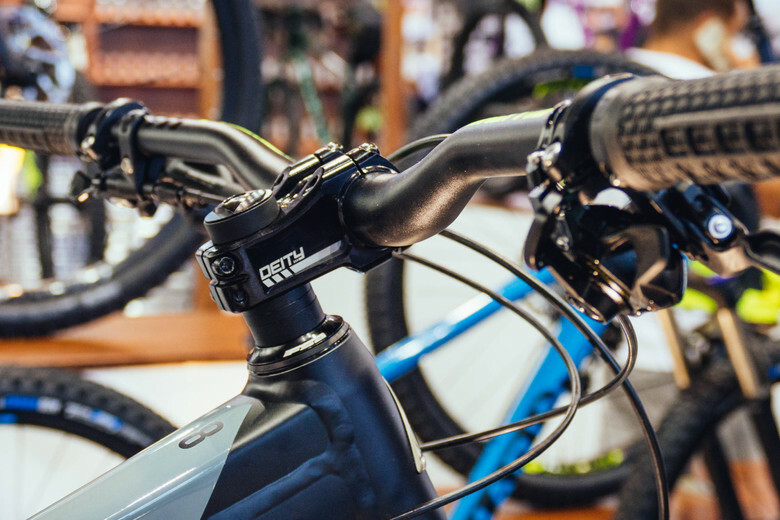 For the new year, Marin has added a longer reach, more standover, increased wall thickness in key areas of frame tubing and a new aesthetic by changing the gussets in the seat area. Also new is Boost 148mm rear axle spacing. We were particular impressed by the Attack Trail 8 model which has 150mm rear travel via Marin's QUAD 3 system. 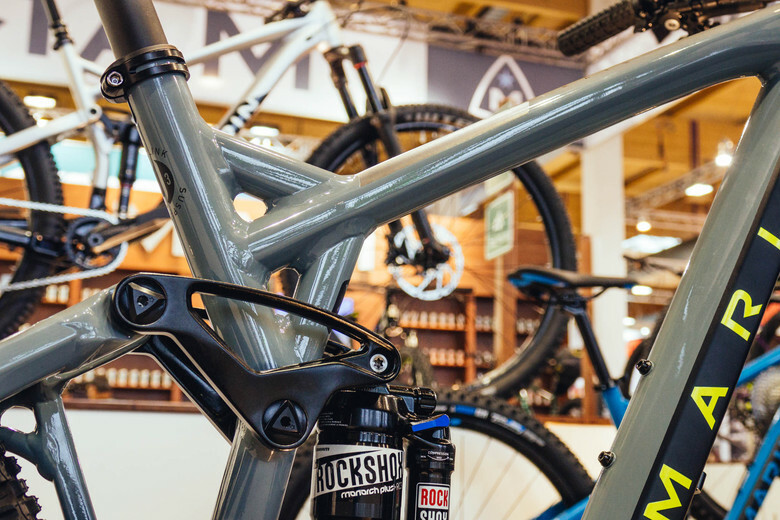 A RockShox Lyrik RC eats the bumps up front with 160mm. 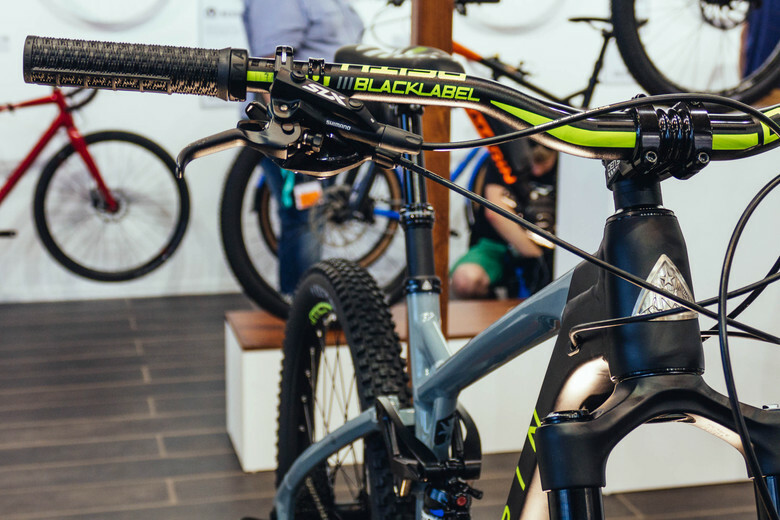 The build should suit just about any rider, especially those with a penchant for awesome. The Attack Trail 8 features Deity components throughout, a Stan’s Baron S1 front wheel with 35mm inner rim width and a Stan’s Flow S1 with 29mm rim out back, customizing the way the bike feels on the trail. The wider front rim adds stability while narrow rear rim keeps things feeling a bit more precise. $4200 USD gets you attacking the trail on this Marin. Hit up www.marinbikes.com for the details.